or the substance breaks apart. 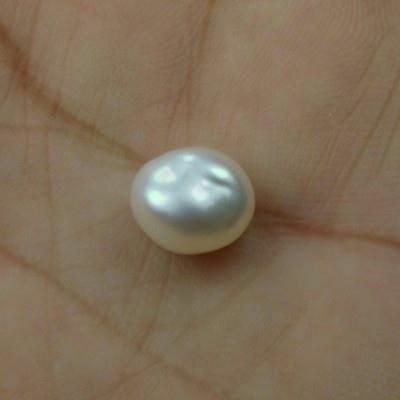 The result is a pearl made of 100% nacre.Keshi pearls have a very uncommon orientation with high lustre. Keshi pearls have become somewhat rare. 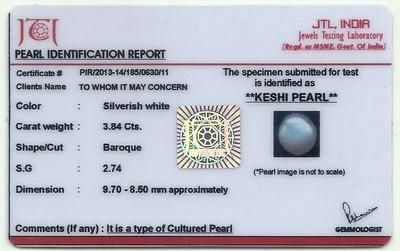 This is 100% real Keshi Pearl and it is certified by JTL testing lab. Please kindly refer the picture,it is of the same Keshi Pearl which is up for sell.